The U.S. has experienced a steady rise in the number of people being prescribed opioids and in the number of individuals becoming physically addicted to these medications. In the 1970’s and 1980’s, the typical methadone program client was someone who had graduated to daily IV heroin use. Fast forward to 2013 and the typical methadone program participant may well be someone who has never used heroin or any kind of injectable drug. With the rise of oxycontin over a decade ago and other popular painkillers, opioid addiction in America moved to unprecedented levels. 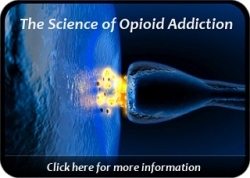 With this new epidemic level of opiate addiction has come an increasing number of overdose deaths. Within the last 10 years, Tennessee was for several of those years the nationwide leader in the number of prescribed opioids per resident and the number of opioid overdose deaths. Many of these fatalities were the resulting combination of mixing opioids with benzodiazepines like xanax, klonopin, and ativan. Today, many opioid treatment programs and independent physicians are using much greater caution in prescribing benzodiazepines in their practice, and some have opted out of this completely due to the significant medical risk involved. As the resulting need for treatment options began to grow, the availability of local methadone programs increased as did the total number of U.S. physicians who were approved to prescribe suboxone. 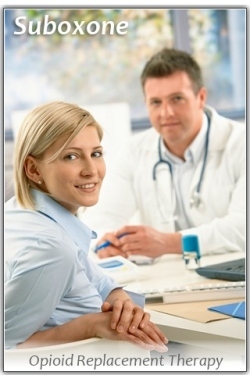 Both methadone and suboxone have been enormously beneficial in helping addicted people gain a new lease on life. These opioid replacement medications, combined with counseling, provided hope for a life after opioid addiction. Unless someone has experienced the ravages of a drug addiction, they may be unable to fully comprehend the benefit provided by opioid treatment using methadone or suboxone. In the final analysis, we as a nation must guard against the overuse of prescription painkillers. And individuals must exercise due caution and care since there is no substitute for personal responsibility and good personal judgment. As America moves forward in the coming year, we must strive to prevent drug abuse where we can through education and prevention efforts. We must also recognize and support the concept that addiction is a treatable illness, and that methadone and suboxone are an essential element in the opioid addiction solution.